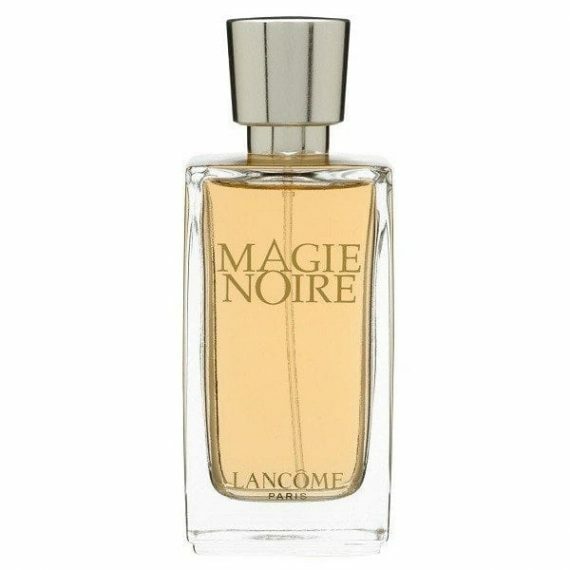 Magie Noire by Lancome is a woody oriental feminine Eau de Toilette with top notes of Cassis, Bergamot, Hyacinth, Raspberry and Green Notes. The heart notes are Honey, Jasmine, Lily of the Valley, Tuberose, Narcissus, Orris and Rose Oriental with a base of Patchouli, Castoreum, Civet, Vetiver, Musk, Oakmoss and Benzoin notes. It is an exotic bouquet of wild elements that forms a bewitching oriental perfume. The predominant note is Oakmoss and the fragrance is very long lasting on the skin. The scent was launched in 1978 in a classic glass flacon.